World Vision has been a constant part of our family. When I was little, we always had a sponsored child’s photo up on the refrigerator. 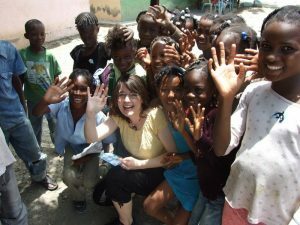 At 17, I sponsored my own child for the first time. And now, as part of the World Vision Artist Program, I have been working to find sponsors for World Vision children at my ministry events for years. I was thrilled to be able to go and see their work in Dominican Republic just a few weeks ago. 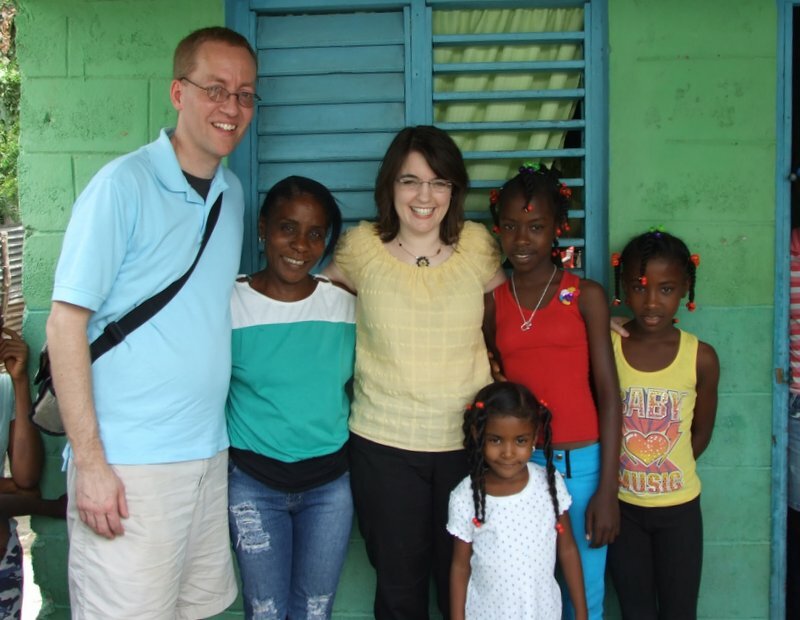 Before we left, we decided to sponsor a new little girl in Dominican Republic so that my husband, Nathan, and I could meet her while we were down there. Her name is Melandia. We got her picture folder, and wondered who she really was? It’s so easy to see all the pictures and think of needy children as a big group or a problem to be fixed, but they are not – they are individuals, children just like mine, with their own dreams and gifts and potential to make a difference in the world. We were so looking forward to meeting her! Before we got to Melandia’s neighborhood, we got to see several of the programs run by World Vision in her area, and it was truly amazing. I was expecting the schools and the medical clinic. I was expecting to see children who had access to nutritious food and clean water where there had been none before. What I wasn’t expecting was the realization that when we sponsor a child, it’s not just that child who is sponsored – it’s their whole family, it’s their community, it’s their future. Melandia’s area is caught in the grip of generational poverty from which there is no escape without help. They are of Haitian descent, people who immigrated here to live in shanty towns and work the sugar cane plantations. There’s nothing else here. If you have nothing, how can you get the start-up funds needed to become educated, or move to a better area, or buy a bike to get your crops to market, or the materials to create something for sale? I saw World Vision running not just medical clinics and schools which are incredibly important, but also teaching gardening techniques to moms, giving classes at the vocational school such as barbering, baking, and sewing, teaching basic math skills and how to run a business. Perhaps most startling was to see the micro business loans of $100, $200, or $500 which had completely transformed families. These are sums most Americans wouldn’t think much of, but we met a father and son who used that money to buy a grinder. They collect plastic trash from their area, grind it up, and sell it to area companies as recycled plastic. They paid their loan back in 10 months, and now support their entire family with it. They are saving, and plan to expand their business next year. When we got to Melandia’s house, we met not only her, but her younger sister, her mother, and her little niece. We met her chihuahua and learned that he made her less shy. The first thing she brought to show us was the letter we had written to introduce ourselves. We gave her a picture of our family and letters our children had written to her. We brought her some school supplies and little presents and groceries for her family. And the whole time her mother just beamed at her. She was so proud of her daughter! It was her mother who got to me. What mom doesn’t want to see her child thrive? How difficult it must be to not be able to give your children the future you want for them, and that is what World Vision is addressing. Jennifer Shaw is a World Vision Artist. She is also a speaker, author, singer, and songwriter whose ministry has been featured by Focus on the Family, FamilyLife, Joni and Friends, Autism Speaks, Insight for Living, and many more. She loves glorifying God with her songwriting, and has had five Top 40 Billboard songs. She lives with her husband Nathan and their three children in Columbus, OH. For more information, visit www.jennifershaw.com. This entry was posted on Thursday, June 13th, 2013 at 2:08 pm	and is filed under News. You can follow any responses to this entry through the RSS 2.0 feed. You can leave a response, or trackback from your own site.